Welcome to our Healthy Horse Club - Saving you money on your routine annual veterinary health care. At Loch Leven Equine Practice we understand how important it is to give your horse or pony the best care possible. 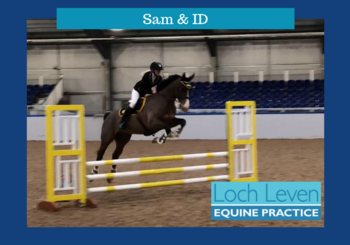 We know that you want to ensure they are happy and healthy and you can be assured that with the team at Loch Leven Equine Practice they are in the best possible hands. Our experienced team of equine vets are committed to helping you keep your horse healthy and not just treating them when they are ill. It is widely recognised that prevention is better than cure and is often cost effective in the long term. We also understand that effective budgeting is also essential. 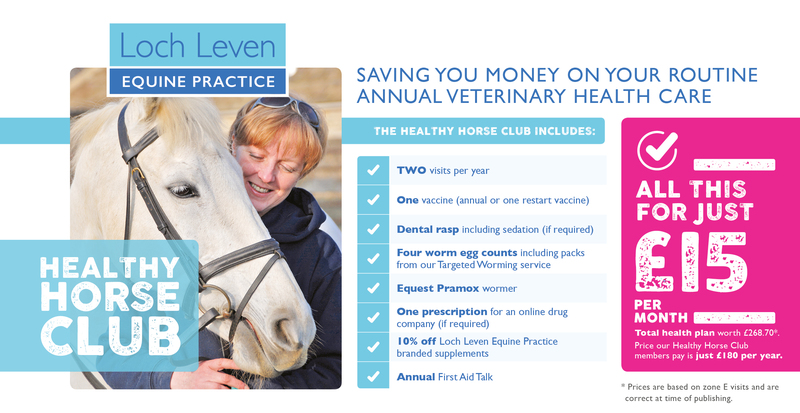 That’s why we have put together our annual preventative health care practice membership, giving you peace of mind that your horse is getting all of the essential veterinary care throughout the whole year, whilst spreading the cost and saving you more money than ever before. Our dedicated horse only vets are here for you 24 hours a day, 365 days a year. Membership of the Healthy Horse Club gives us the opportunity to offer support and advice about any treatment planning, which in many cases may prevent problems arising in the future. It’s easy to budget effectively throughout the year with interest free small monthly Direct Debit payments – it couldn’t be simpler. Our Healthy Horse Club also saves you money so actually helps you to reduce your costs. 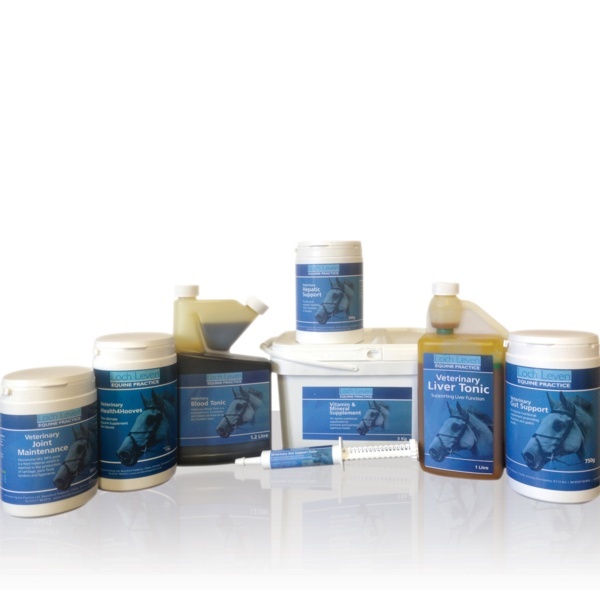 We also offer all members of the Healthy Horse Club a 10% discount off all LLEP branded supplements including Veterinary Gut Support, Veterinary Joint Maintenance, Veterinary Vitamins and Minerals, Veterinary Blood Tonic, Veterinary Gastric Aid and Veterinary Calmer. Being part of the club also gives you the opportunity to attend an annual first aid talk, completely free of charge and exclusive to club members. All for just £15 per month. Total health plan worth up to £268.70. *Not including discounts on supplements and based on visits E. Prices correct at time of publishing. We’d love to have you on board and signing up is really easy. Either call us on 01577 841010 or email us and we will give you a call back.